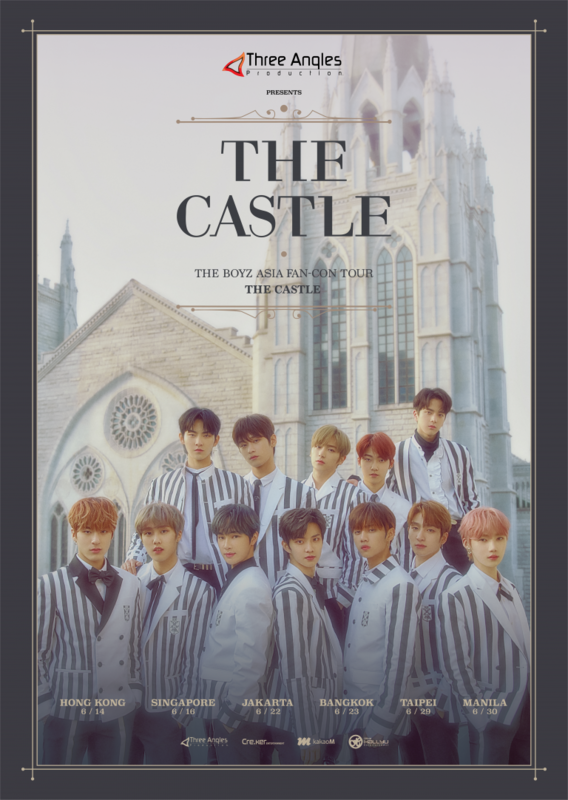 The Boyz announces their first Asia fan-con tour with stops in Hong Kong, Singapore, Jakarta, Thailand, Taiwan and Manila. The Boyz is a South Korean boy group formed by Cre.ker Entertainment who officially debuted on December 6, 2017. The group consists of twelve members: Sangyeon, Jacob, Younghoon, Hyunjae, Juyeon, Kevin, New, Q, Ju Haknyeon, Hwall, Sunwoo, and Eric. On April 3, 2018 , The group released their second extended play ”The Start” and its lead single “Giddy Up”. After 5 months, they made their first comeback with the single ”The Sphere” and the song “Right Here”. The group released their third extended play ”The Only” and its lead single “No Air” on November 29, 2018. Follow us on our official Facebook page www.facebook.com/ThreeAngles/ for the latest updates.